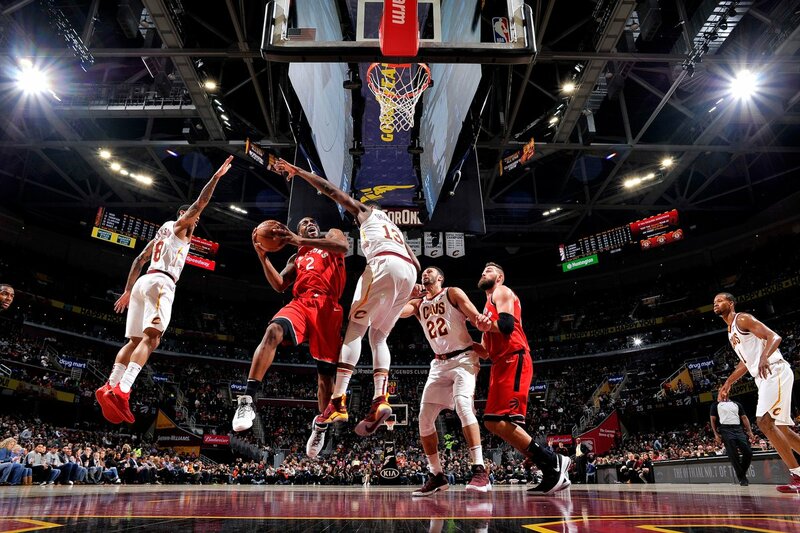 Kyle Lowry missed his first game of the season with a back injury, his absence was not felt as the Toronto Raptors defeated the Cleveland Cavaliers on Saturday night, 106-95. Fred VanVleet started his third game of the season and of his NBA career; he scored 15, while Kawhi Leonard lead Raptors scoring with 34 points and also recorded nine rebounds. Danny Green and Pascal Siakam scored 15 each. Ever since LeBron James left the Cavaliers for the Los Angeles Lakers, Cleveland has been without a leader. This season will be more of a team effort, as they cannot rely on arguably the best player in the league. Tristan Thompson is their longest serving player, and it shows because he scored 18 points and grabbed 19 rebounds. Jordan Clarkson scored 18 off the bench. Kawhi Leonard is known for his strength, and can make plays inside and outside of the paint. Leonard can also turn defence into offence within seconds. The Raptors host the joint-best team in the Western Conference in the Denver Nuggets on Monday night at Scotiabank Arena. Tip-off is set for 7:30 p.m.